We like to end every week with a digital trip to the great outdoors. This week we are looking at California, Glucocil’s home state. Just like Alaska, California has wildly different landscapes across the state. California’s nine national parks feature everything from hot deserts to snow-topped mountains, it was hard to pick! 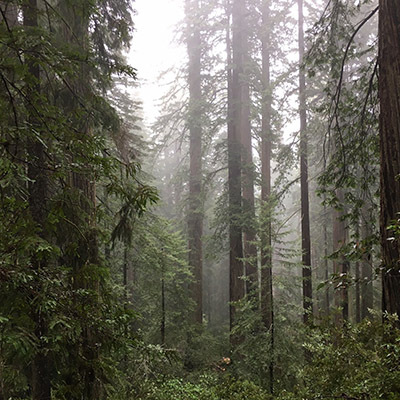 In the end, we narrowed it down to four nice walks around the state that offer some of California’s recognizable landscapes, but there aren’t any palm trees on the list. It might seem odd to speak of California’s beauty in these hard times, when thousands of buildings have been destroyed, hundreds of people are missing, and dozens have been killed. While swathes of our state are on fire, and families search for lost ones in danger, we can look ahead with hope to a happier, safer, calmer time when quiet nature walks will be the norm again. 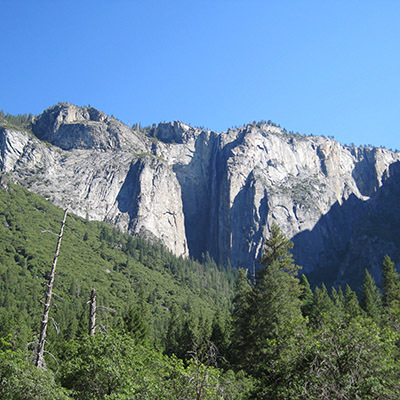 The Lower Yosemite Falls Trail is a one-mile very popular loop. Accessible to wheelchair users from the eastern approach but the trail can be icy in the winter. See gorgeous photos here. Dogs on leashes are permitted on this easy walk. The waterfall is usually dry in the in the summer and offers the best chance of seeing water in the spring when the snow is melting. Get more information and directions here. The redwoods of northern California are really a sight to behold. The giant trees on the Lady Bird Johnson Grove Trail most likely dwarf any other tree you have seen in your life. The 1.3-mile loop is an easy walk around the forest. It’s great for birding as dogs are not allowed. It’s also a wonderful walk to admire the forest’s wildflowers. In reviews, people appreciate it for the shade the trees offer and the dappled light that comes through the leaves. There is also a trail map so you can take a self-guided tour. Get more info, images and directions here. This trail allows you to walk to the lowest place in the U.S. As one might expect from a spot in Death Valley, the walk can be punishingly hot, so it’s best to look at the weather, bring a hat and go in the winter. Two-hundred and eighty-two feet below sea level, this 1.8-mile out and back trail gives you incredible views. With a long boardwalk, the view — but not the entirety of the trail — is available to wheelchair users. The cracked ground shows hexagons where water evaporates quickly on the salt flats. Get more info and directions here. Finally, we come to Joshua Tree National Park. 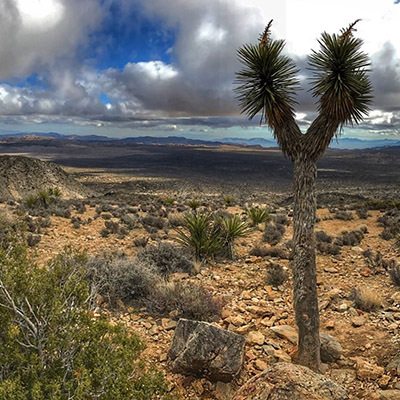 This desert is the quintessential landscape of cactuses and resilient wildlife. The bizarre trees lend their name to the park. The Ryan Mountain Trail is slightly steep and quite rocky but offers an amazing view to sure-footed people. While the trail is paved in places, there is an elevation difference of 1,062 feet from the lowest spot to the highest on this 2.7-mile out and back path. See photos, more info and get directions here. As always, we are eager to hear from you. Email us your thoughts! Send a message to socialmedia@neulivenhealth.com.